You’re a Hermeticist? What’s that? | Robert Mitchell Jr.
You’re a Hermeticist? What’s that? Hermeticits believe that there is no conflict between science, religion, and art. The three of them should walk arm in arm. So it’s no surprise that a list of famous Hermeticists includes scientists (Sir Isaac Newton, Dr. John Dee), authors and poets ( William Butler Yeats and Arthur Machen), artists (Pamela Colman Smith). and clergy (Giordano Bruno, William Alexander Ayton). 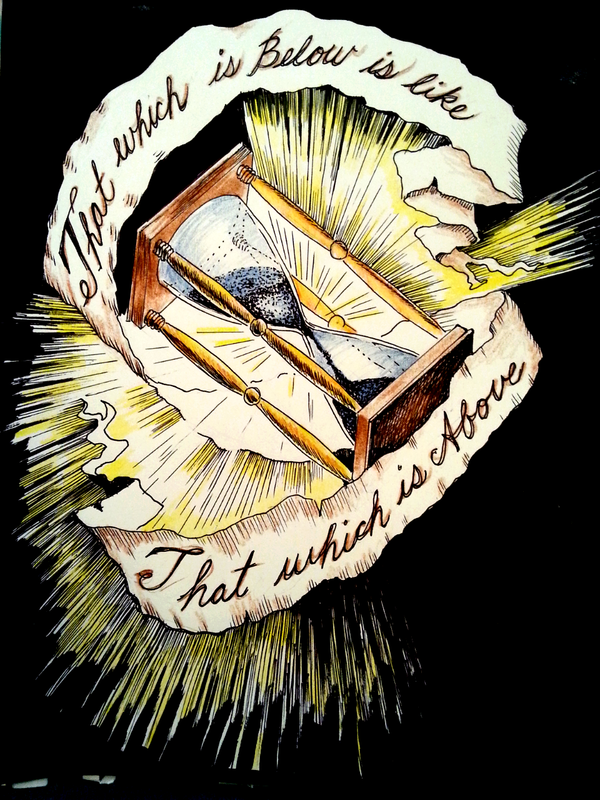 The mot enduring Hermetic text is the Emerald Tablet of Hermes Trismegistus, which makes a fitting end to this brief definition. True it is, without falsehood, certain and most true. That which is above is like to that which is below, and that which is below is like to that which is above, to accomplish the miracles of one thing. The father thereof is the sun, the mother the moon; the wind carried it in its womb; the earth is the nurse thereof. If it be cast on to earth it will separate the element of earth from that of fire, the subtle from the gross. With great sagacity it doth ascend gently from earth to heaven; again it doth descend to earth, and uniteth in itself the force from things superior and things inferior. Thus was this world created. Hence there will be marvelous adaptations achieved, of which the manner is this. For this reason I am called Hermes Trismegistus, because I hold three parts of the wisdom of the world. This entry was posted in Mysticism and tagged hermeticism. Bookmark the permalink. Pingback: Tenugui (手拭い), Hashi (箸) and WOOTW #18 | Robert Mitchell Jr.
Pingback: The Hourglass and Cabal Fang Workout of the Week #43 | Robert Mitchell Jr.